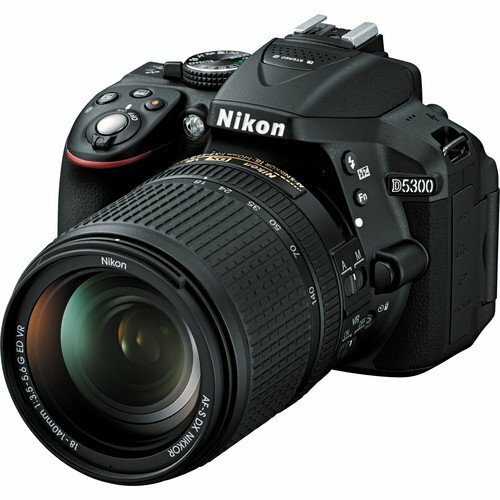 Buy New Nikon D5300 Digital SLR Camera with 18-140mm (Black) Free 8GB & Nikon DSLR Case Malaysia At FotoZZoom! Valid 1st Dec 2016 – 31st Dec 2016 only. Frame advance rate Continuous L : Up to 3 fps. Continuous H : Up to 5 fps (JPEG and 12-bit NEF/RAW) or 4 fps (14-bit NEF/RAW). Note: Frame rates assume continuous-servo AF, manual or shutterpriority auto exposure, a shutter speed of 1/250 s or faster, Release selected for Custom Setting a1 (AF-C priority selection), and other settings at default values. Movie - Frame size (pixels) and frame rate 1920 x 1080, 60p (progressive)/50p/30p/25p/24p, high/normal. 1280 x 720, 60p/50p, high/normal. 640 x 424, 30p/25p, high/normal. Frame rates of 30p (actual frame rate 29.97 fps) and 60p (actual frame rate 59.94 fps) are available when NTSC is selected for video mode. 25p and 50p are available when PAL is selected for video mode. Actual frame rate when 24p is selected is 23.976 fps. Data rate 54 Mbps. Maximum logical data rates according to IEEE standard. Actual rates may differ.